Papery Peep November - A Smiggle Special! Papery Peep November – A Smiggle Special! Share the post "Papery Peep November – A Smiggle Special!" 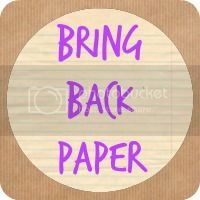 It’s that time again already when I ask you to come take a Papery Peep with me, and I invite you to share any papery loveliness yourselves by linking up. We went along to the launch of the new Bull Ring, Birmingham store. I’d seen a Smiggle before, a few months ago in Leicester, and loved it there, so knew what to expect and that Boo would be very happy there, too. Their stores are light and bright, with stacks of bold and funky colours, with something you just want to grab and explore within an arm’s reach all the way round! They stock a huge range of stationery, primarily aimed at the kids market, but let’s be honest, I adored it, too. From scented pencils to cute little satchels, from games to key rings, it kinda has it all! That pinartstar is hugely popular here. Both kids can often be found with it in their hands! And my favourite gift? I now have the perfect advent calendar for me! The rest of the family will have chocolate treats each day, whereas I will have stationery- hooray! So yes, it’d be fair to say Boo and I are Smiggle fans! They’ve now got 16 stores in the UK, with 2 more opening this year, and with plans to have 200 nationwide next year, there’s bound to be a Smiggle near you soon! What do you think of Smiggle? Linky closes Tuesday 2nd December. Disclosure: We received some of the stationery items FOC (though also purchased a fair few!) and all words and opinions remain my own. If there’s not, there’s sure to be soon!